If you live or work in a city, a bicycle can be a great way to get around. The only trouble is what to do with the bicycle when you need to go somewhere you can’t ride. Folding bicycles offer a great solution, but they still have their drawbacks. That’s all about to change with Folder, a new folding bicycle designed by Mikulas Novotny that has full-size wheels. One challenge with any folding bicycle is moving it around while folded. Many need to be carried, which can be unwieldy and inconvenient. To solve this dilemma, designer Mikulas Novotny has come up with a clever new design that allows for the bicycle to be rolled even while folded up. He calls his new bicycle Folder. In addition to the convenience of being able to fold the bike, at 26 inches, the wheels are also larger than many folding bicycles, so the ride is more similar to a standard bike. Aiming for a simple and reliable product, Folder hinges at the seat post and the shoulder so that the wheels align next to one another when folded. 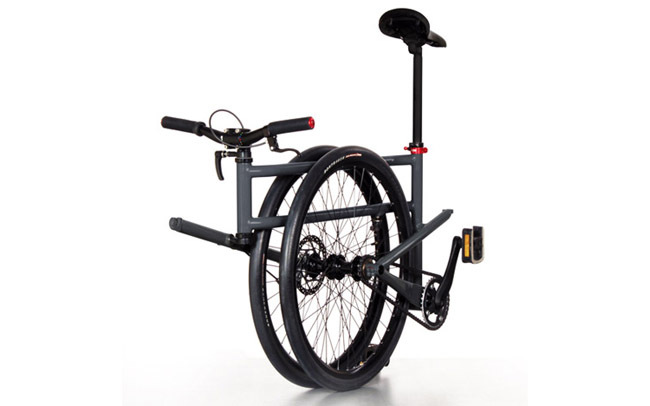 The wheels can also still spin freely in the folded position, so rather than needing to pick up and carry the bicycle, it can easily be rolled along while holding the seat. The larger wheels even allow Folder to be pulled up or down stairs; fantastic for anyone that needs to use a subway or who lives in an upper-level apartment. If you live or work in a city, a bicycle can be a great way to get around. The only trouble is what to do with the bicycle when you need to go somewhere you can’t ride. Folding bicycles offer a great solution, but they still have their drawbacks. 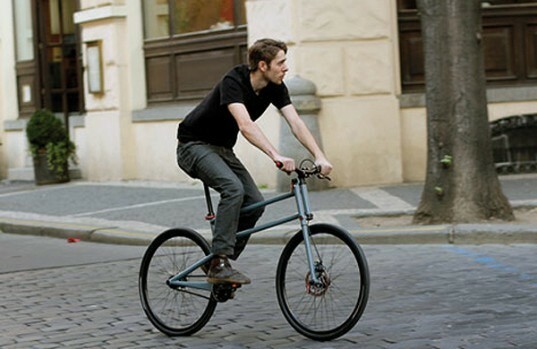 That's all about to change with Folder, a new folding bicycle designed by Mikulas Novotny that has full-size wheels.